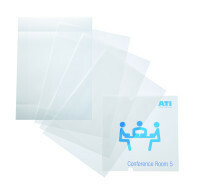 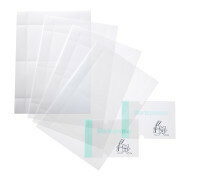 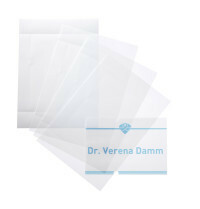 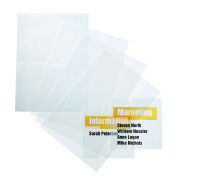 PC-printable micro perforated A4 sheets for use with CRYSTAL SIGN door signs. 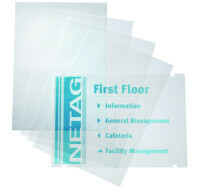 PC-printable micro perforated A3 sheets for use with CRYSTAL SIGN door signs. 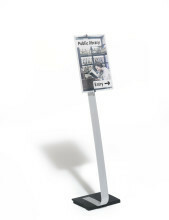 The acrylic panel is easily rotated from portrait to landscape position thanks to a simple snap-in mechanism; the stand height can also be adjusted between 1.25 m and 1.18 m; The viewing angle is set to a convenient 10 degrees. 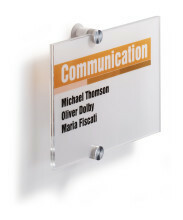 Crystal-clear acrylic table sign with 2 screw fittings. 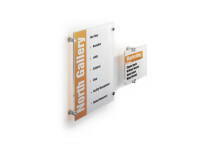 For displaying information, photos, labelling, signposting, etc. 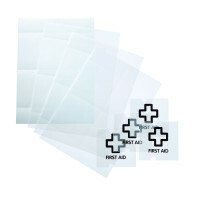 For easy, safe fastening even to delicate garments. 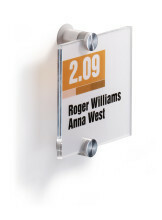 The badge is held securely in place by twin magnets. 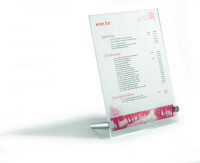 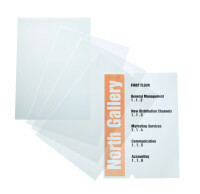 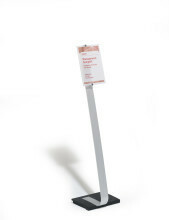 PC-printable inserts for CRYSTAL SIGN STAND A3 (product # 4819). 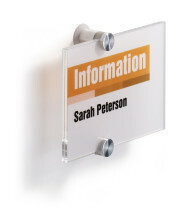 With pin and clip fastener for multi-functional use.